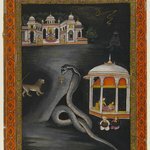 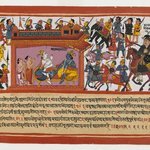 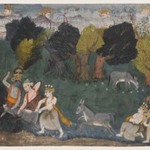 This is an illustration from the Bhagavata Purana, a lengthy Hindu scripture dedicated to the god Krishna, who is said to have lived on earth as a prince. 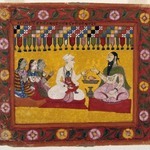 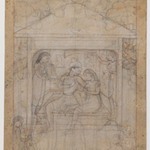 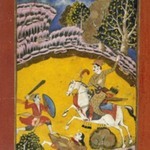 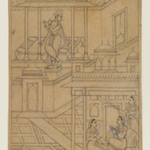 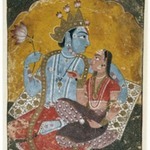 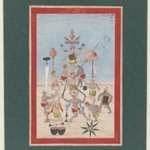 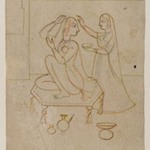 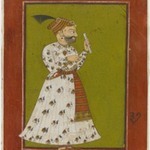 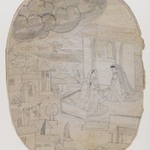 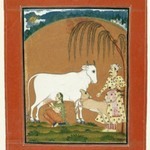 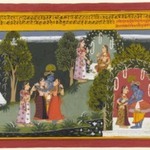 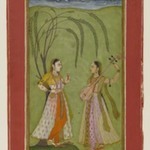 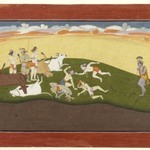 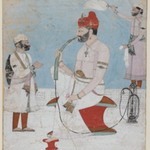 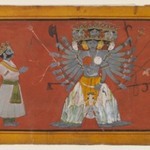 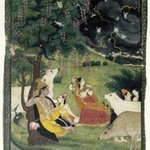 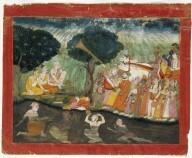 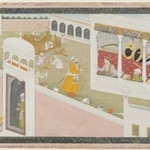 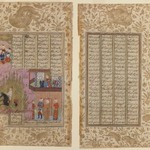 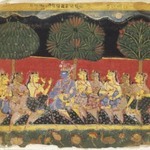 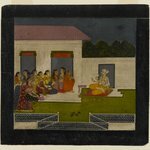 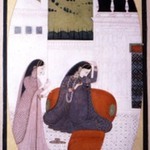 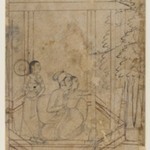 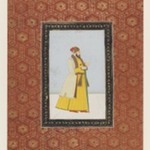 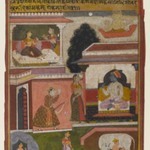 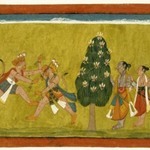 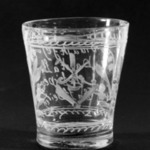 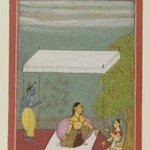 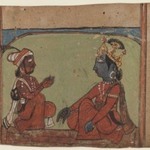 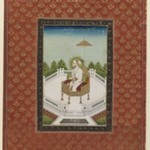 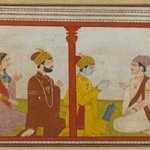 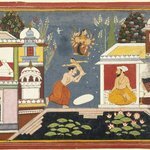 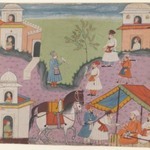 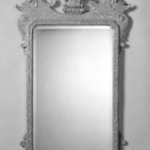 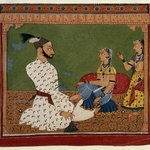 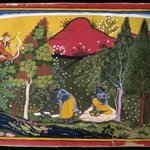 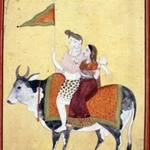 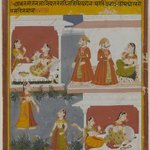 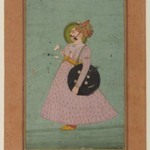 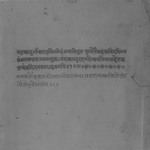 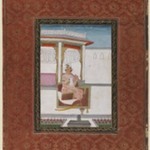 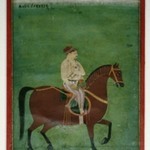 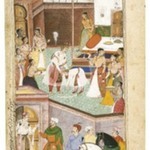 It depicts an episode from Krishna’s youth, much of which was spent in hiding in the cowherding community of Vrindavan. 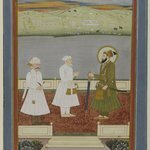 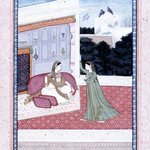 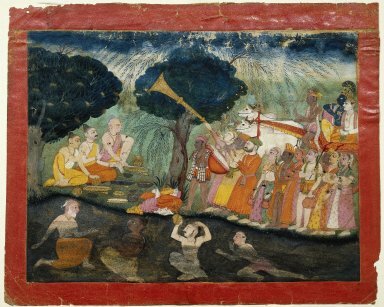 Eventually he had to leave this idyllic rural setting and return to his family’s kingdom at Mathura, where his evil uncle was ruling unjustly. 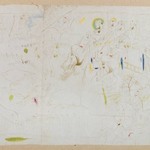 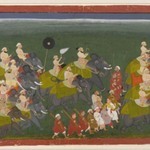 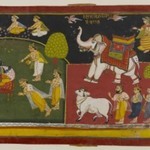 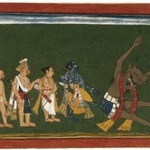 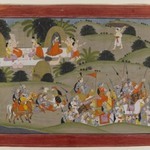 Krishna (with blue skin) is shown here at the far right with his brother, Balarama (with white skin), riding an oxcart on their way to Mathura. 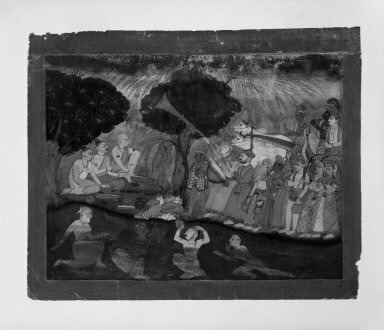 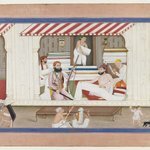 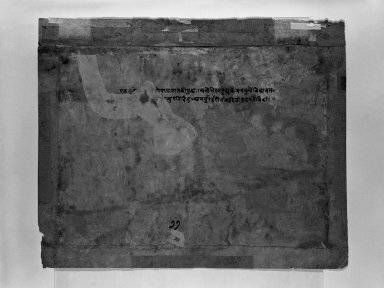 They are accompanied by a group of devotees and along the way encounter religious ascetics, some of whom are bathing in the river.